No matter whether you like history, mysteries or romances, the following new fantasy books have them all. To add the books to your bookshelf, click +Shelf, or the book cover. 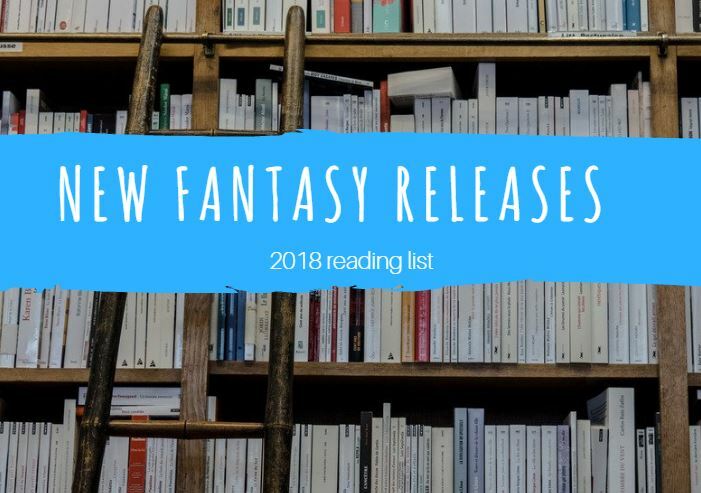 Let us know what are your fantasy picks in 2018 and we'll add them to the 2018 New Fantasy Books reading list. Jude was seven years old when her parents were murdered and she and her two sisters were stolen away to live in the treacherous High Court of Faerie. Ten years later, Jude wants nothing more than to belong there, despite her mortality. But many of the fey despise humans. Especially Prince Cardan, the youngest and wickedest son of the High King. To win a place at the Court, she must defy him–and face the consequences. In doing so, she becomes embroiled in palace intrigues and deceptions, discovering her own capacity for bloodshed. A decade ago, Darrow was the hero of the revolution he believed would break the chains of the Society. But the Rising has shattered everything: Instead of peace and freedom, it has brought endless war. Now he must risk everything he has fought for on one last desperate mission. Darrow still believes he can save everyone, but can he save himself? And throughout the worlds, other destinies entwine with Darrow’s to change his fate forever: A young Red girl flees tragedy in her refugee camp and achieves for herself a new life she could never have imagined. An ex-soldier broken by grief is forced to steal the most valuable thing in the galaxy—or pay with his life. In Mystic Class Nona Grey begins to learn the secrets of the universe. But so often even the deepest truths just make our choices harder. Before she leaves the Convent of Sweet Mercy Nona must choose her path and take the red of a Martial Sister, the grey of a Sister of Discretion, the blue of a Mystic Sister or the simple black of a Bride of the Ancestor and a life of prayer and service. All that stands between her and these choices are the pride of a thwarted assassin, the ambition of a would-be empress wielding the Inquisition like a blade, and the vengeance of the empire’s richest lord. As the world narrows around her, and her enemies attack her through the system she has sworn to, Nona must find her own path despite the competing pull of friendship, revenge, ambition, and loyalty. Jacqueline Carey is back with an amazing adventure not seen since her New York Times bestselling Kushiel’s Legacy series. Lush and sensual, Starless introduces us to an epic world where exiled gods live among us, and a hero whose journey will resonate long after the last page is turned. Let your mind be like the eye of the hawk…Destined from birth to serve as protector of the princess Zariya, Khai is trained in the arts of killing and stealth by a warrior sect in the deep desert; yet there is one profound truth that has been withheld from him. To add the books to your bookshelf, click +Shelf, or the book cover. 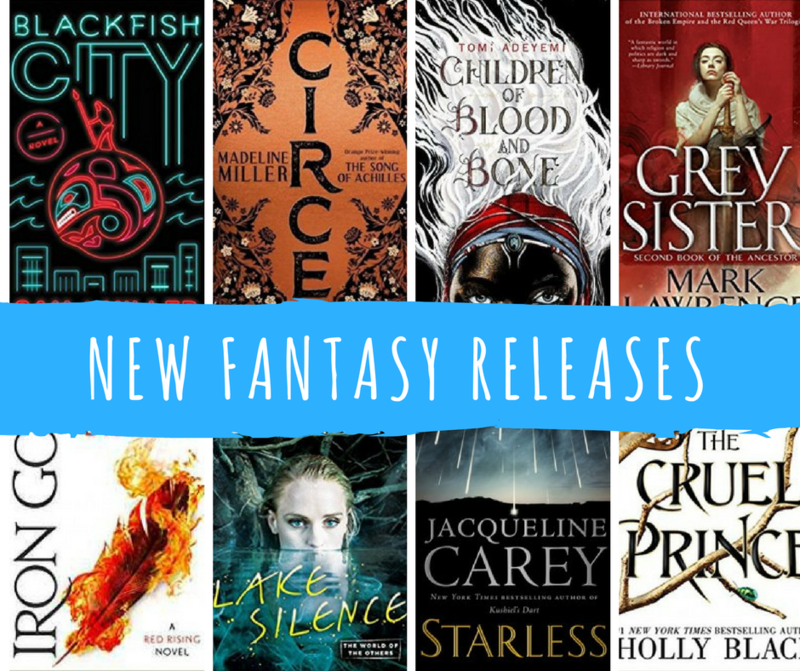 Let us know what are your fantasy picks in 2018 and we'll add them to the 2018 New Fantasy Books reading list. This will be a short review, because I don’t want to give anything away, and this is a slowly-unfolding mystery that is best experienced through reading it. I don’t want to spoil anything! So… I requested to join this blog tour because (1) I’d read Second Star by Alyssa a few years ago and really enjoyed it, and (2) I love mysteries and boarding school stories, and since this one had both I figured I couldn’t go wrong. I hadn’t expected the book to be so heavily focused on mental health issues, but I’m so glad I was able to have this reading experience. Although I say it is “heavily focused” on mental illness, I don’t mean to imply that it’s a heavy or super sad book, because amazingly enough it’s not. It’s a very well done portrait of mental illness in several forms, while also giving us a mystery you’re eager to see solved, a struggling-at-boarding-school experience, and even budding romance! For several reasons, I really connected with the characters in this book, both Ellie and Eliza. I am claustrophobic myself, though I’ve never had such a severe form as Ellie does. I have, however, had a few panic attacks in small spaces, especially times when I’ve had to have MRIs (ugh I hate those). So I understood what Ellie was going through, even though my issue is not as severe as hers. I have also had experience with someone very similar to Eliza’s father (my brother-in-law), and I can say without a doubt that Alyssa’s portrayal of him and the effect on those around him was spot on. I was writing in the margins of my ARC very early on when he was on the page as to what I thought the issue was, and I turned out to be right. I know that’s very vague, but I really don’t want to give anything away. Overall, I just want to get across that Alyssa’s portrayal of people struggling with, surviving with, and living fully with mental health issues is carefully drawn, sympathetic, and never maudlin. I’d recommend reading the author’s note at the end, in which Alyssa explains her thinking behind the book and some of the work she did to ensure accurate portrayals of various mental health issues. She also does a wonderful job showing how mental illness affects not only the person afflicted but also those around them, be they family or friends, co-workers or classmates. I highly recommend reading this book, even if you’re not one who normally enjoys “issue books.” It’s really not maudlin or overly heavy, nor is it preachy when dealing with a tough subject. The balancing act Alyssa strikes in this book with Eliza’s story is darn near perfect; I truly don’t think I’ve seen such a straightforward, unflinching, and sympathetic look at this issue in any book I’ve read before. Again, I know this is rather vague, but I don’t want to give anything away and ruin the reading experience. I would just encourage you to check it out for yourself. It’s a relatively short, easy read, and I think you’ll find yourself quickly turning the pages just as I did. If you read R.I.P. 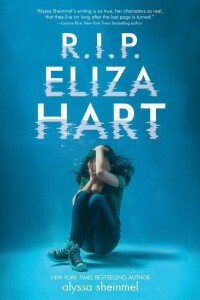 Eliza Hart, I’d love to know what you think of it! Thank you to Scholastic Press for the ARC copy of this book for purposes of review. This is my honest and voluntary rating and review. Thanks also to Rockstar Book Tours for including me on the blog tour! 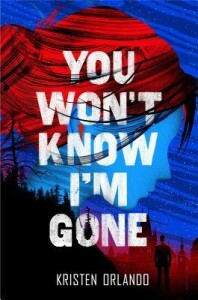 I had been wanting to read the first book, You Don’t Know My Name, since I heard about it prior to release last year. So when I saw the announcement for this tour, I figured I’d try to participate so I could have “an excuse” to begin the series. This YA spy thriller series hasn’t gotten quite as much exposure as others, for some reason, so I admit I was blown away at just how good the first book was. You don’t usually get to feel so many emotions when reading a thriller, but boy, mine ran the gamut: from laughter to nail-biting anticipation to flat-out sobbing. Yes, that’s right, Ms. Orlando holds absolutely nothing back! I mean, the way the first book ended… I was bawling, I really was. You Don’t Know My Name was an easy book to rate for me, definitely a 5-star read. I couldn’t put it down, but it was much more than “just” a thriller, if that makes sense. So, why did I rate You Won’t Know I’m Gone four stars instead of five? Well, the only reason is that it is - as is typical with the second in a trilogy - very much a bridge book. I mean, a lot happened and I still ran the gamut of emotions, but probably 90% of the book takes place in one site. It’s not a huge deal, it’s just not quite as exciting as the frenetic pace and site-hopping of book one. However, there’s still a lot of action and excitement, so never fear! I have to say, I really appreciated that Reagan actually suffered consequences for the things she does. As with the ability to kill off main characters, the author doesn’t hold back on having Reagan actually have to pay, one way or another, for her impetuosity. This is not one of those books where the MC breaks pretty much every rule there is yet always gets away with it and gets ahead! That doesn’t mean that Reagan follows all the rules in the second book, though, no sir! But the author really uses her actions as teaching moments, as part of growing up and pushing the boundaries. I applaud Ms. Orlando for giving Reagan a strong personality and having her pay for the consequences of her actions. The thing that I connected with so much in this book, though, is Reagan’s struggle with grief. I don’t have any idea if the author has suffered through the loss of someone dear to her or not, but if she hasn’t, then she is an absolute master at making me believe she has. I could relate to everything that Reagan felt in the aftermath of her mother’s death. At the risk of getting too heavy in this review, I wanted to make sure that I convey to Ms. Orlando that her handling of this topic is truly masterful. I happened to be reading this book just prior to the 10th anniversary of my sister’s death, and it’s possible that the struggle Reagan goes through connected more closely because of that; maybe it won’t be quite so impactful for others. But it was authentic and raw and felt absolutely real to me. 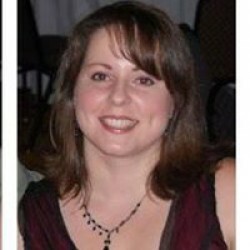 I lost my sister to domestic violence, so it was a similar kind of death as we saw with Reagan’s mother - violent, traumatic, and completely unexpected. And everything she talks about feeling was something that I have felt, both in the immediate aftermath of my sister’s death and in the 10 years since. Even though this is not an “issues” book or a heavy contemporary, the characters go through some real life sh*t and respond in ways that are true to my own experiences. Ms. Orlando skillfully handles what Reagan faces with honesty and truth. Overall, I really enjoyed this novel, and I can’t wait to read the third book! I feel so close to these characters now, and even though I don’t agree with everything Reagan does (not by a long shot! ), I really respect the way Ms. Orlando has told the story. It’s thrilling and nail-biting, but also emotional and real. Brava! **Disclosure: I received an e-ARC of this book for purposes of taking part in this blog tour. This voluntary review reflects my honest reactions to the book. The book you don't know you need in your life until you read it and say, "*that's* what I've been missing!" If you could choose one - and only one - person to reanimate (bring back from the dead), who would it be? Would you choose anyone at all, or would you forfeit your right to choose? 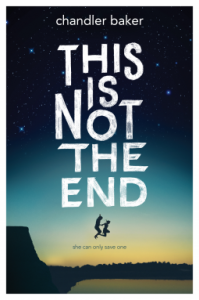 THIS IS NOT THE END is a beautiful book about a girl's fraught relationship with her older brother, paralyzed from the neck down after an accident a few years ago, which has turned him bitter, cold, and downright mean. It's also about the life-changing car accident that happens just before her 18th birthday, which kills her boyfriend and her best friend, and the grieving process she goes through. It's also about how she meets a new boy and his motley group of friends as she's trying to figure out how to move on with her life. And, of course, it's *also* about that tricky question I asked first: she can choose ONE person to bring back from the dead on her 18th birthday, or lose the chance forever; who will it be?? When you put it that way ... well, it sounds like a bunch of disparate elements that must leave a mess of a plot, right? Wrong! This is the first book I've read by Ms. Baker, but she blew me away with how she handled all these elements and wove them into a cohesive, heart-wrenching, and utterly gorgeous work of fiction. I cant believe I haven't already reviewed this book, because I loved it so very much. I would highly recommend it to anyone who loves gorgeous writing; books that make you think about questions of morality, family, mortality, and the difficult process of growing up and becoming your own person; and contemporary YA generally. This book has a hint of science fiction - I mean, that whole "reanimation" thing isn't a reality quite yet - but don't let that scare you away if you're not usually a sci-fi reader; I promise, it's really just a hint, even though it's integral to the story and is the source of much of the MC's anguish. I would love to put this book in the hands of every reader I know! I hope you'll give it a chance, too. It's one of those books you don't realize you need in your life until you've read It, and then you say, "*that's* what I've been missing!" It stunned me and left me reeling, yet feeling wiser and more complete. I cant wait to see what Chandler Baker gives us next. This is an easy 5 stars! In a world where your sunset photos have to be perfectly aligned and your food artfully arranged on quirky mismatched dishware—how do you up the Instagram ante with your book photos? Here are some tips to help you become a master of the perfect Bookstagram photo. No messy, disorganized bookshelves under this #shelfie tag. Don't be afraid to strip down your books. Take the book out of its jacket and see if it has a cover in a striking color or features a cool font. Open the book to take a picture of the splayed pages or take a picture of the spine. Some instagrammers like to feature books with complimentary-color covers together, or books with contrasting-color covers. You can group by author, genre, almost any common thread you can think of – and bonus points if it’s one other people haven’t thought of before. Your shots should have some kind of recognizable quirk that your followers can quickly pick up as your signature style. Another way to stand out is to focus on a certain genre. Photographing fantasy books or YA exclusively gives your insta a distinct niche and point of view, and fans of those genres are more likely to follow you. Alternatively, you could always put your personality forward in your captions. You could try always giving a 5 word review, tell where you bought or read a book, or make comparisons to more well-known books to let your followers know the vibe of the novel. One of my favorite things about the best #bookstagrammers on my feed are the awesome props they use in their photos. You might not think of a coffee cup or a cute pen as a prop, but that’s what they are when you’re composing a photo. I love unique bookmarks like the one by MyBookmark, featured above, or the wooden #currentlyreading booksmarks by nook & burrow. Everyone can enjoy a new bookish find like bookstore-scented candles or a Divergent necklace and featuring those items in a book photo can provide a way more interesting way to showcase them. It can also be fun to use something that expresses another part of your personality as a prop - like your Captain America bobblehead, or a combination outfit/book photo to show off your fashion. Maybe place a book next to your iPod showing the album you’re listening to. Don’t feel like it has to be just about books. Unless you have some a professional studio, I generally advise sticking to natural light. It’s, well, the most natural! Photographing books can be tricky because the covers can reflect the glare of a flash or an overhead light. You don’t need your book to look like it is specially lit, you just want consistency and at a bare minimum to be able to see everything and not to have a fuzzy photo. Selfie rules apply – if your bed isn’t made and it’s not intentionally part of the shot, don’t include it in the frame of the photo. You might want the photo to be a snapshot of your life, and your life may include clutter, but unless it’s artfully arranged it can make a photo too busy or just not aesthetically pleasing. Here are some of our favorite bookstagrammers. I love @blueeyedbiblio and through her account I’ve discovered her whole awesome book dragons pack. I’m regularly inspired by @bookmaurader, @tinybookreviews, @lastnightsreading, and @subwaybookreview. Some publishers and other companies I enjoy on Instagram are @ChronicleBooks, @QuirkBooks, @litographs, @harperperennial. My own Instagram is @shinyandrea, and is a mix of books, fashion and food. You can also follow popular hashtags like #bookstagram, #currentlyreading, #books, #reading, you get the idea. Using those hashtags can help you gain followers. When it comes to publishers and authors, following your favorites on Instagram is a great way to make connections. Don't forget to tag them in posts about their books! I kind of surprised myself by absolutely LOVING this book!! I couldn't stop reading and carried my Kindle around everywhere. I am still kind of shocked at the depth of my love for the characters and the story; I continue to think about them and wonder how they're doing as if they were real people (or perhaps "people" is more appropriate!). The only reason I give this 4 stars instead of 5 is just that it needed polishing. I do think pages could have been cut (though it still didn't feel like 600+ pages to me) and it needes a final look through by a good, strong copy-editor (I found myself wanting to rip out my red pen a lot). However, I will say, I've read books that had fewer grammar/spelling/editing mistakes in them but where those mistakes made me disgruntled with the book as a whole -- amd that did not happen here. Although there were times I wished I could make corrections, there were just as many times where I sailed right past those errors without stopping because the story and the characters were so good!! I can't wait to read ThunderClaw's story, and I loved the very brief tease we got at the end of Venomous!! I will miss the focus being on Lumen, Venomous, Fiercely, and Cobra, but I have a soft spot for old Beowyn ThunderClaw and I'm so eager to read more about him!